Three amazing locations, each using culture to breathe energy into place and connect communities, are coming together to create a brand new touring spectacle. In 2019, whilst Absolutely Cultured continues to build on the success of Hull UK City of Culture 2017 Waltham Forest begins its tenure as London’s first Borough of Culture and Wirral will become Liverpool City Region’s 2019 Borough of Culture. 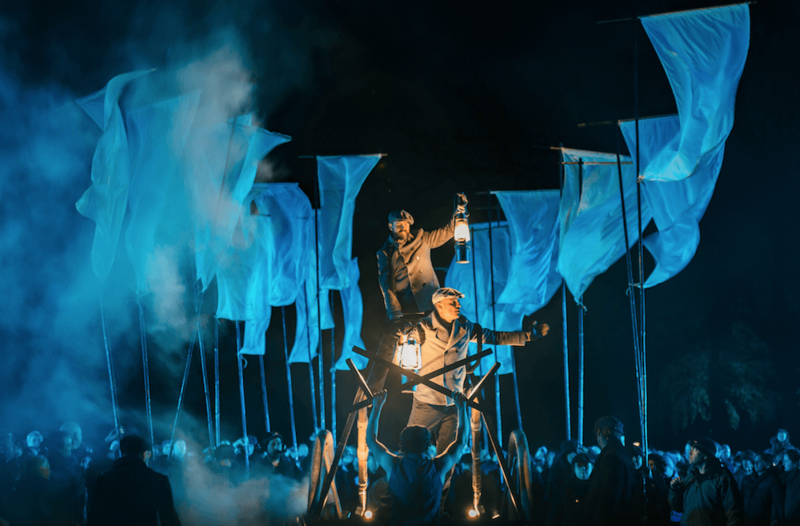 In celebration of these parallels a brand-new, large scale outdoor performance is being created to be presented in these three locations in 2019. Building on the model of Hull 2017’s hugely successful flagship community engagement project, Land of Green Ginger, this co-commission is designed to connect people and inspire imagination and curiosity. The performance will take inspiration from the unique characteristics of each place, weaving a story between the three and working with local communities and artists to inspire the creative direction. As part of the legacy plans following Hull UK City of Culture 2017, Absolutely Cultured is committed to drawing on its expertise and experience to work with other locations to develop co-commissions which will be made in Hull and then seen elsewhere. This project will be the first of those co-commissions and will be produced by Absolutely Cultured working in partnership with Waltham Forest Borough of Culture and Wirral Council. A unique and shared experience for audiences across the country – connected by culture, imagination and curiosity. Further details of the project will be announced in 2019.